Guest Blogging is a powerful way of getting new traffic for a blog. Not only does the contributed article get exposure to a new audience, the blog source also gets promoted (and possibly with added signed ups). But first things first; one has to figure out first how to be invited as guest blog writer. 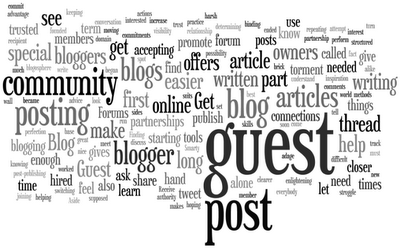 So, here are 9 ways to find guest blogging opportunities. Its lots easier to seek out a friend or at least an acquaintance who is also a blog or website owner. The important thing here is to find a way how to be invited as guest blog writer of a bigger blog site. And a friend or an acquaintance would likely agree to such an arrangement--or even outright invite you--because that will save the person writing time and effort and also benefit the blog in terms of added quality articles to it. Now, think of the bigger number of audience the contributed articles will enjoy from the bigger blog or website. If the articles sell something, that could mean bigger sales generated. If blog owner friends are not possible, then try family and other connections. Ask relatives and friends for folks they know who own established blogs. Relatives or friends may help open doors of opportunities through their recommendations. Then find that coveted invitation in the email. Now and then there are TV or print announcements of popular blogs being promoted as very informative or entertaining sources of online literature. Study their themes or thrust and develop relevant articles on them. Then email them to the site owner or manager for possible contribution. If they like the articles, an invitation to be guest writer periodically may follow. For blogging folks desiring writing exposure in an established blog or website of their choice, they can try being active in that site through membership. And then take active part in blog discussions. In the course of discussions and comments, acquaintance with other members can lead to information about guest bloggers. Discover the how’s and what’s and who to contact for the purpose. Soon, figuring out a way how to be invited as a guest blog writer would be easy. But there are sites that enlist guest writers and even feature them. 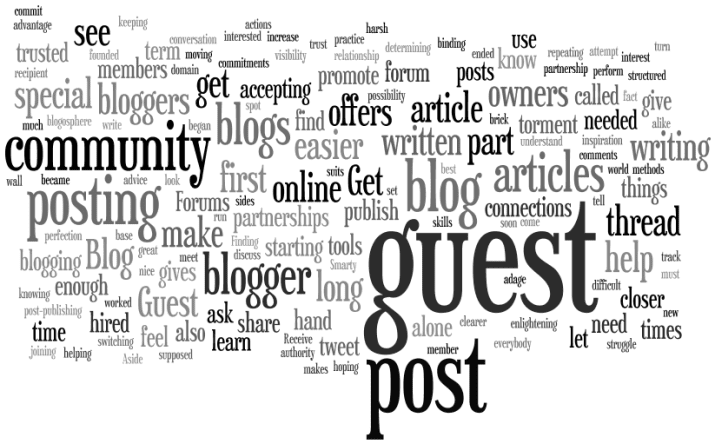 Just look for phrases that say “Guest Posts” on shared articles written somewhere at the end. That should be a clear indication that the site welcomes guest writers. Other indications are invitations to “write for us” or a simple suggestion to “contribute.” Also check if article authors are staff writers or office personnel or if they are guest bloggers. That should be a cue to formally express one’s intention to be a contributing blog writer. There are sites that serve as platforms or bulletin boards for guest writers. Sites that look for guest writers also post their requirements there. Thus, those who want to be invited and sites that look for them meet together there to get started. Sites like “My Blog Guest” and “Blogger Linkup” provide probably more than 9 ways to find guest blogging opportunities. A simpler way to get invited as guest writer of another blog is to start searching web directories like Google. There is sure to be a long list of guest blog sites. Join several of them that relate to the articles intended for contribution and contact the site manager. Establish oneself online as an expert on a specific field or industry. Join writers’ forums or bureaus like Ezine Articles or Odesk and write on specific topics like health and fitness, herbal plants, religion, politics, or world economies, to name a few. A site owner may chance upon the article, checkout the author’s profile, and formally invite the author as an occasional guest writer to his or her site. Check articles posted on Twitter or Face Book to see if they are written by guest writers or otherwise. Use them, too, to promote oneself as a willing and available guest writer. Join or “Like” writers’ groups on Face Book and participate in the discussions, establishing oneself as an able blog writer. There’s a chance of catching attention and getting invited. There are other means to get established sites to consider guest writing offers. This will be a bonus exposure for one’s articles, blog, and self-image as a potential blog writer. And these 9 ways to find guest blogging opportunities can launch that potential to Blogging stardom.